While I am usually rather against mechanics that are obviously made for gameplay reasons and not for getting reasonably realistic results, encumbrance is one element where I make a big exception. I am a huge fan of inventory slots in pen and paper games. Not because they are in any way realistic but simply because any attempts to measure items by weight or volume end up as such bothersome bookkeeping that people usually end up ignoring encumbrance entirely. Which in a game of exploration expeditions and treasure hunting is a real shame. You lose so much of the experience of dungeon crawling and wilderness travel when you don’t have to worry about being slowed down by carrying too many supplies. And even worse, when the PCs can carry as much supplies (which are dirt cheap) as they want, then it also becomes redundant to track how many more torches and rations they currently have with them. And really: What’s left then? 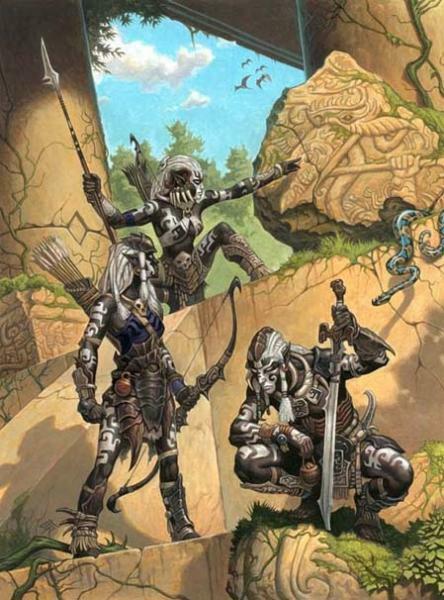 A Pathfinder adventure! I mean combat! Bookkeeping is not fun, but having to worry about running out of light or throwing away all your food to be able to outrun a monster while still hanging on to all your gold is something I never would want to miss again. And in AD&D 1st Edition and the Basic/Expert gold is not primarily money. Most importantly gold is experience. Your XP take up inventory space and can slow you down on your way to safety. It always amazes me how deeply interconnected the various elements. Encumbrance, XP for treasure, and random encounters only look like completely different things but they are all a single unit of resource management that really is at the heart of the oldschool experience. If you drop one, the other two no longer work either and there’s nothing to keep the party from having 15 minutes adventuring days and rest after every fight, which is the huge glaring flaw of 3rd Edition and Pathfinder. As such,I am really a big fan of the Encumbrance system in Lamentations of the Flame Princess which gives each character a number of inventory slots and every item takes up one slot. It doesn’t adjust the item limits based on character Strength but otherwise it’s clearly the right approach. The typical character sheet has a section for items with one line available for each item. Just mark after how many lines the encumbrance limits are reached and you never need to even count how many items your character carries. As long as you leave no lines empty you just have to check whether your item list passes the marked lines. That’s an encumbrance system you can actually use at the table without annoyance. XP for treasure is a great system because it rewards players for behavior that you want to see as the GM. It rewards them not for slaying a monster but for getting the treasure guarded by the monster. It seems a bit silly that characters would get better at fighting by collecting coins, but then it’s no more realistic to learn more spells by shoting people with a crossbow. XP for gold encourages players to explore and sneak. XP for combat encourages combat. It actually discourages sneaking and negotiating except as means to get an advantage for a coming fight. I like XP for treasure much better, but the concept behind the Ancient Lands is not just one of treasure hunters but a game of knowledge seekers. Gold and jewels are not meant to be actually that thrilling for the PCs who are striving for a higher goal. Something else is needed to which the players are encouraged by the lure of XP. By default characters get no XP for magic items. Magic items are useful to the party and give them advantages while in an oldschool game money usually doesn’t. Unless you eventually get into building castles,there’s not really much to do with all the massive piles of gold characters gain on their progression to higher levels. But in my campaigns the search for and fighting over rare magic items takes center stage and so I want to reward it with XP as well. Since magic items are meant to be rare, the players won’t getting their hands on a lot of them. At the same time gold and silver are meant to be less lustrous so I can simply hand out less of mundane treasure to even out the total gain of XP. The main difference is that magic items are worth much more XP but still take up only one inventory slot. But again,this can be countered by giving more silver treasues (100 XP) and fewer gold treasures (1000 XP). 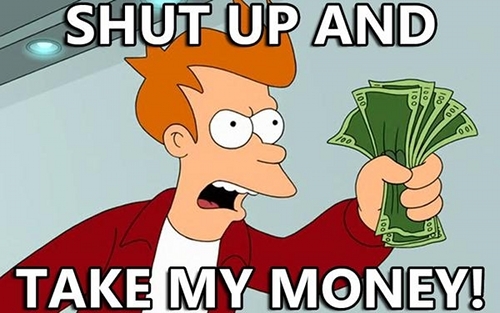 Now assigning specific values to magic items is difficult as they don’t have a value that could be measured in coins. But in the end the XP are awarded for the challenge of getting them and so I consider it a good solution to simply set the XP for retrieving a magic item to 1000 times the dungeon level on which it was found. By which I don’t mean the actual physical story of the dungeon but the difficulty of the Wandering Monsters table that is used for the dungeon level. Often that will be just three or five times the value of a regular gold treasure,but then the players can also actually use the item’s power to their advantage, making it worth more to them than just the XP. I think it’s also a nice rule of thumb for special treasure items like huge gems. Author YoraPosted on 31/01/2017 17/04/2018 Categories game design, gamemastering, rpgs, sword & sorceryTags Ancient Lands, Dungeons & Dragons, Lamentations of the Flame Princess, OSR, sandbox, treasureLeave a comment on XP for magic items? A simple and completely untested variant system for casting spells in Lamentations of the Flame Princess. It should also work with other OSR games, but LotFP allows mages to wear armor and use weapons, which makes a severe toning down of spellcasting much less disruptive for players. Spells work pretty much the same way under this system except that you don’t need to prepare spells in advance and all casting times are at least 1 minute (10 rounds) long. You still need to have spell slots available which are used up for the day when a spell is cast. The effect is that spellcasters become much more flexible in picking their spells when the situation comes up but at the same time lose the ability to quickly intervene with spells in the middle of a fight. All magic requires at least a bit of time to prepare during which the spellcaster can easily be interrupted by any hostile creatures or violent environment conditions. Charm Person/Monster: The target makes a saving throw at the start of the casting of the spell. If it fails it will simply listen to the casters words and not take any action unless the casting is interrupted by an outside source. The caster of the spell does not look like he is casting a spell on the target but has to keep talking for the entire casting time and observers might notice something strange going on with the target. Enthrall: The crowd starts listening to the caster immediately but can only be persuaded to do something after at least a minute of talking to them has passed. Polymorph Others: The target of the spell slowly begins to change during the casting time but reverts to its original form if the spell is interrupted in any way. Sacrifice: The caster has to be in contact for the entire casting time of the spell, usually making it necessary to restrain the target. Suggestion: The target makes a saving throw at the start of the casting of the spell. If it fails it will simply listen to the casters words and not take any action unless the casting is interrupted by an outside source. The caster of the spell does not look like he is casting a spell on the target but has to keep talking for the entire casting time and observers might notice something strange going on with the target. Like many people, I am not a big fan of having PCs be perfectly fine with 1 hp remaining and instantly dead when they are at 0 hp. My approach to hit points is to not regard them as wound points but as stamina points. A succesful hit means that the target suffers minor scratches and bruises that interfere with its ability to succesfully deflect or dodge attacks and avoid serious injury. When a character runs out of hit points the extortion becomes too high and he slips, suffering a serious wound. It’s an abstraction like any way you can think of hit points, but I think it’s the best approach to have the fiction of the adventure match the rules of the game. When an attack deals more damage to a character than he has hit points left, the remaining points of damage are compared to his Constitution score. If the points of damage in excess of the current hit points is greater than the Constitution score, the character is dead. If not, the character is only unconscious for 10 minutes and permanently loses 2 points of Constitution. This loss of Constitution represents a lasting injury that neither surgery nor magic will ever fully reverse. While unconscious at 0 hp, any further damage will automatically kill the character. A character who regains consciousness is unable to fight or do other tiring activities until brought to 1 hp or more through resting or magic. There are no saving throws or Constitution checks. Death and permanent injury are always automatic. In my past campaigns characters running out of hit points was always very rare already. Adding a significant chance to negate the effects only makes it even more unlikely that something bad will happen to a character. (Though running Sword & Sorcery dungeon crawls will probably increase casualties in my next campaign a lot.) I had considered to randomly determine whether the ability loss affects Strength, Dexterity, Constitution, or Intelligence, but with hit points already representing the ability to continue fighting I don’t think it’s necessary. I like this solution since it’s both somewhat realistic in regard to actual battle injuries, and it also matches the habit of many Sword & Sorcery heroes to be left for dead with grievous wounds. As in Yojimbo or A Fistful of Dollars, being almost dead is nothing that a week of rest can’t heal, even if it leaves a lasting mark. With a Constitution score of 2d6+6, this gives a character about three to seven opportunities to cheat death before being too crippled to continue, though it might be worth considering retirement much earlier than that. It’s a lot more forgiving than the standard rules for death, but it’s still something that players really will want to avoid. 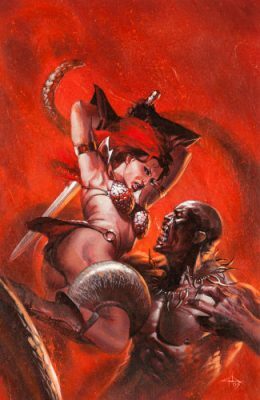 My post from earlier this week about using Lamentations of the Flame Princess for a Sword & Sorcery campaign received some interest, so why not expanding it into a series? Probably the biggest change I’ve made to the rules is a complete overhaul of the magic-user class. I am not a fan of the spell slot and preparation system of D&D. Of the three big flaws I see in the game, it’s the one I don’t like the most. (Negative AC is easily fixed and Alignment can simply be ignorred.) Spell slots just don’t mesh with any kind of fantasy fiction except for the Dying Earth novels. It just doesn’t feel right to me. 3rd Editions sorcerer class was a decent first attempt to adress this, but oddly enough the best magic system I’ve ever seen in D&D is the revised 3rd edition psionics system. The edition with the biggest design flaws and the previously most clunky sub-system. The Witch class is the magic-user class from LotFP converted to spell points and with a revised spell list. 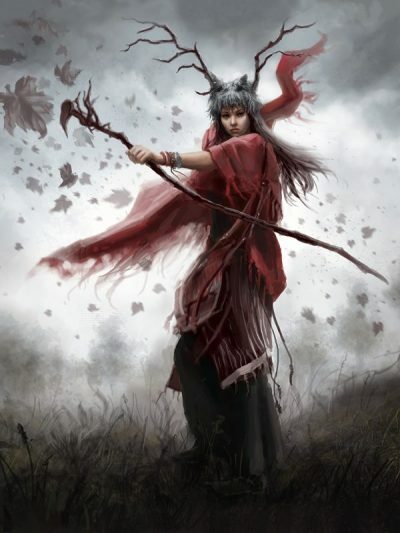 In my Ancient Lands campaign it’s the only spellcasting class that covers both witches and shamans, as well as sorcerers who have access to a few unique spells. Everything else is just as the magic-user class. This table assumes that 5th level is the highest level of spells that characters can possibly learn or cast. For campaigns in which higher level spells are available it can easily be expanded. This spell point conversion uses the exact same spells as usual without any modification to them. The only thing that changes is the way in which spells are learned and limited to uses per day. A first level witch begins the game knowing three spells of first level. Which each additional level the character learns two new spells that can be of any level that is available, as per the column “Max. Level”. At third level, a witch can learn two new spells that can either be of first or second level. At fifth level the new spells may be of first, second, or third level, and so on. Spells are not prepared. A witch can cast any spell that has been learned at any time, but has to spend spell points when doing so. How many spell points a witch has is indicated by the colum “Spell Points”. The character’s Intelligence modifier is added to this number at first level (but not at each additional level the character gains later.) The number of spell points that are used is equal to the character level at which the spell becomes available. Witches are highly flexible in chosing their spells and could either cast a smaller number of higher level spells or a large number of lower level spells. 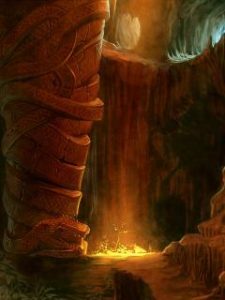 Learning a wide variety of lower level spells can be advantageous over always learning spells of the highest possible level as they consume a much lower number of spell points. In return for this increased flexibility in casting spells, witches don’t have the ability to switch out the spells they know between adventures. Witches can only learn new spells when gaining a new level and these spells can not be changed later. The only way to get access to additional spells is through relics. Relics are magic items that allow a witch to gain access to additional spells beyond those the character has learned. Relics are body parts of supernatural creatures or legendary witches and sorcerers who retain some of their former owners magical power. Each relic contains usually one spell and a witch holding or wearing the item can cast this spell just as if it were one of the spells the witch has learned. The witch has to spend spell points to cast the spell, just as with all regular spells, but gains a bonus of +1 to +3 to the spellcaster level to determine its effects, depending on the relic. Even if the witch already knowns the spell granted by the relic, the increased spellcaster level still applies. OSR games, particularly in the Weird OSR scene that Joseph Manola lined out so well here, predominantly focus on low power, low magic adventures in whichopponents are either normal guys or extremely deadly eldritch horrors. While it’s a style that I find very appealing, my greatest love is still Sword & Sorcery. Particularly Conan and Kane, but also Hyperborea, The Witcher, and of course Star Wars. The uselessness of Stormtroopers aside, at least when they are deliberately letting the heroes escape or fight against ewoks, they are all works in which the protagonists are at the very top of what humans can be, but not outright superhuman. And while they have to be cautious, they are always on the offense. An in my opinion neater solution is to roll 2d6+6 for ability scores and also let the players assign the six numbers as they see fit for their chosen character class. 2d6+6 considerably shifts the average up and makes 8 the lowest score possible. But since modifiers in B/X are relatively small and don’t increase linearly, the result is that characters will on average have a combined total of +4. A +2 here and two +1s there isn’t hugely imbalancing, but with the ability to assign the scores to abilities freely (and getting maximum hit points at first level) this allows players to make considerably sturdier characters than rolling 3d6 in order. A fist level fighter with 10 hp or a +4 to hit is entirely doable. The other method I am using is to firmly stick to the paradigm that any NPC who isn’t an outstanding combatant is a level 0 character, and to use a bestiary of entirely custom made creatures. The high end for regular monsters tapers off around 10 HD and I am using relatively smal numbers of special abilities each. In the fiction of the world this makes even 4th level characters already members of the top tier of people who roam the world and who are able to confront gods, demons, giants, and dragons. Maybe not one of those 13 HD behemoths, but certainly one of the smaller 7 HD ones. I retroactively added this post to the WCotFP series. Earlier this year many people have been writing about the cleric class being an oddity unique to Dungeons & Dragons that doesn’t really fit in most other fantasy settings and seems rather inappropriate. Priests in other fictional worlds never really look and behave like that, and especially in the early edition a great amount of spells are taken from biblical miracles. There seems to be some move to not use the cleric class and instead represent priests and shamans through alternate spell lists for the magic-user class. I am fully behind that. That leaves you with the now very well established scheme of warrior, mage, and rogue, which you’ll find almost everywhere in fantasy gaming. And I have to say, I also don’t like rogues. 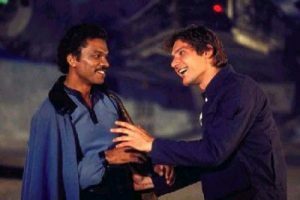 Scoundrels on the other hand are a completely different story. The thief class for D&D was a later addition that didn’t exist yet in the first release of the game but was added very soon after. And in hindsight this move made many people angry and was seen as a move in the wrong direction. But the effect that the introduction of the thief meant that fighters and mages no longer had any reason to try to deal with traps or scout ahead because now there was someone who was always much better at it then them is not my main problem with the archetype. The original thief class had a clear identity but soon people wanted the thief to be good at fighting as well which lead us to the current form of the rogue. And rogues don’t really know what they want to be. The thief aspect has largely vanished and instead we have a fast fighter with light armor, who does huge damage with special attacks, or could be an archer. That takes away almost everything the fighter had left except for heavy armor. In a campaign with knights that’s not necesaarily a problem, but when you play in a setting that doesn’t have heavy armor or huge weapons, what is left? This was one of the reasons that made me pick Lamentations of the Flame Princess as my current system of choice, as its specialist class is meant to be neither great at fighting, nor required to be a thief. But still, I am not fully happy with that. For my Old World that is full of barbarian warriors and made for adventures mostly set in the wilderness, the specialist seems a bit too flimsy to represent a hardened adventurer and the fighter too simple to represent the more skilled and sneaky hunters. On Dragons Gonna Drag, Justin presented the idea of merging the fighter and specialist classes together. But I really like classes and am already down to only three of them, so my idea is to do something similar but opposite. One of the greatest idea I’ve seen for the warrior, mage, rogue archetypes is in Star Wars Saga Edition which has the soldier, scout, scoundrel, and noble classes as a spectrum of different approaches to fighting character and skilled characters. Neither the scoundrel nor the noble are exactly thieves, and the scout is something different than just a fighter/thief. And so I decided to come up with some kind of scout class that represents a more sneaky kind of warrior than the fighter. One idea I’e seen a while back is that the halfling class would make a pretty good base for a Basic ranger. And while looking around for some more ideas I discovered that this is pretty much exactly what Adventurer Conqueror King did with the explorer class. It’s pretty much the B/X halfling with a different name. That’s also what I ended up doing. Creating a scout class for LotFP turned out to be pretty quick and painless. The basic frame is once again the halfling class with the addition of an attack bonus half that of the fighter (other classes im LotFP always remain at +1) and the saving throws taken from the dwarf class (which covers a wider range of levels) and reduced by 2. Since it’s a scout class, the Bushcraft skill of the halfling is retained, but it also gains the Stealth skill with a chance of 1 lower than Bushcraft and not the flat 5 in 6 chance in wilderness environments that halflings have. A scout also can make a sneak attack for double damage with no option to increase like a specialist does. And there you pretty much have it. I am considering giving also a 2 in 6 chance for Search and Climb, as it would fit the theme, but right now I am somewhat uncertain whether that might be a bit too much. Compared to the fighter the higher saves should even out with the lower hit points, which leaves all the skills compensated only by the reduced bonus to attack. But overall I am very happy with the class and it really took only about an hour to make, including research. I just now spotted an article on the playtest document for the new edition of Lamentations of the Flame Princess that has been send out to some GMs back in february. I also noticed just a few days back that the new Referee Guide is still in work, which will include new unique monsters for the game. I assume it will be released alongside the new rulebook. I don’t have the playtest rules myself, but looking at this summary from Dragons Gonna Drag (another new OSR website, like what you did so far Justin) I already spotted some things that I found interesting. Intelligence determines skill points at first level. After that only specialists keep getting more points. I’ve been thinking about ways to give fighters and witches limited access to skill in my campaign these last couple of days. This is certainly one way to make it work. There’s also a Medicine skill, which is nice, as it indicates support to play without magic healing. Very Sword & Sorcery. Strength affects how many items characters can carry. This is one shortcoming I’ve seen with the Encumbrance system of the current edition and something which I think the system by LS from Pencils and Papers did better. All characters advance with the same amounts of XP, a topic that I’ve been discussing on a forum just today. And I am very much in favor of it. Making miniscule adjustments to XP required for the next level is pointless when level loss, replacement characters, and characters of newly joined players all have a much bigger impact on the different levels of characters. Justin mentioned having the impression that group initiative is being ditched, which is something I wouldn’t approve of. But it’s trivially simple to do anyway, and it isn’t like Dexterity would become a useless stat if it no longer affects Initiative. There’s a new saving throw mechanic that basically uses a d6 dice pool and counting successes. That’s something I really don’t see myself using if it makes it into the new edition. I think a d20 roll against a target number indicated by your class level is just fine and much less of a hassle. There’s also partial saves, which is more granularity than I want to bother with. This new system also doesn’t improve odds as the characters level up, which I think is a pretty important feature of B/X. I can see why Raggi wouldn’t want that in his home games, but it’s something that I would really not want to miss in mine. There’s also big changes to how spells are prepared, but since I’m using a completely different magic system that doesn’t have anything to do with D&D magic anyway, this doesn’t affect me personally. Overall, I think this all sounds very good. I almost certainly won’t use the rules straight out of the book, but I don’t think there are many OSR GMs who do that with any game that is around. I am very much looking forward to the new rulebook and referee guide.